Copywell Australia provides professional printer, photocopier & fax machine repair services throughout Melbourne. 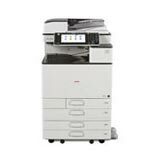 Able to service all major brands including: Lanier, Sharp, Fuji Xerox, Kyocera, Canon, HP, Ricoh, Lexmark & Brother, makes us your first choice for all your printer, photocopier and fax machine repairs. Ex Demo, Refurbished used Photocopiers for sale at the best price in Melbourne. Copywell supplies a range of ex-demonstration, ex-finance and ex-lease copier machines. All machines go through stringent inspection criteria prior to being released in the showroom. Machines are fully inspected and all rollers and drums are replaced. They have to pass a 100 point copy quality and service report test before being sold to the customer. All machines come with a 5 year service warranty on all parts and labour. Our machines are not reconditioned or refurbished, they are low copy machines. 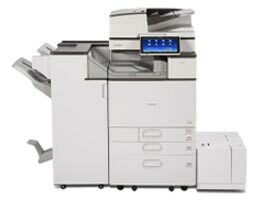 A fully refurbished copier costs more than a brand new copier due to the number of brand new parts required. If you are not buying a new machine, insist on a Copywell ex-lease or ex-demo copier with a 5 year warranty. We have partnered up with some of the leading finance companies in Victoria, so if we don't have the machine in stock, our promise is that we will get it for you from one of our finance lending institutions. 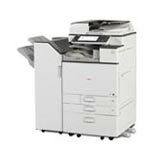 ex-demo / used / reconditioned / refurbished photocopier sales at the best prices in Melbourne. For more information regarding our range of Used, Ex-demo, Reconditioned photocopiers for sale for sale as well as printer, copier & fax machine sales and repair solutions, simply contact us direct on (03) 9793 7773 or via our enquiry form. Our staff look forward to assisting you with all your home and office printer, photocopier and fax requirements.